Unhappily ever after. That�s how it starts. The Orb resurfaces and the classic characters return. Kobbler with his mania, Princess with her endless boredom. It�s only a matter of time before Bob, our hero, shows up to put order back to madness. 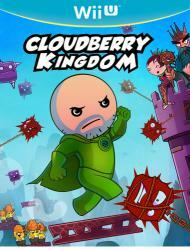 Three powers struggle for victory and the fate of Cloudberry Kingdom hangs in the balance. What will become of the retired hero, Bob? Will saving Princess one last time win her love? Could true love ever stop Kobbler and the power of the Orb? No, probably not. But hey, it�s worth a shot.